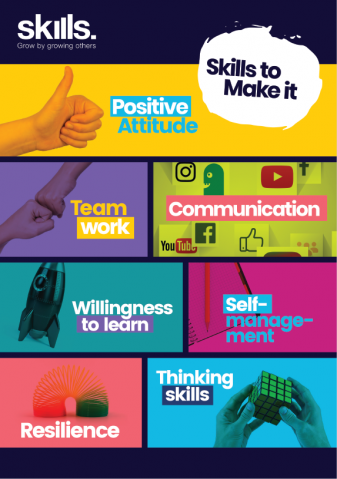 Workchoice is a business-led programme across all industry sectors, designed to respond to business and industry concerns that young people may not be developing the soft skills needed to succeed in the workplace. The Skills organisation has developed interactive work readiness workshops for young people to better equip them with the employability skills they need for successful transition into employment. The Workchoice programme also supports young people to address any potential barriers they may experience going into employment. Workchoice provides a sequence of learning activities and workshops to build work readiness skills business leaders have identified they want to see in young people. The Workchoice programme is designed for young people in schools and young people who are attached to a youth service organisation. The Workchoice programme iis also offered to young people through a variety of community based organisations. The Skills Organisation has employed Workchoice Pathway Advisors to come into your organisation to deliver the Workchoice programme.